An opportunity for members of Geocachers Unlimited or any of the various "alternative" caching sites to meet up and meet face to face, since a number of us may be finding ourselves at The Fulton County Fairgrounds near Wauseon, Ohio on Saturday, July 27th, 2013, for another event (or two). We will be meeting outside the event store, at the coordinates provided at 11:30 AM. The host should be wearing a brand spanking new OpenCaching North America T-Shirt, assuming he can get it made in time. 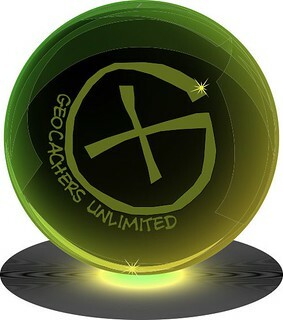 If not, he will make up a large cardboard Geocachers unlimited sign, logo seen below. He is about 6' tall with a perpetual Military Brush cut, and will be wearing glasses. Above the Geocachers Unlimited logo is a Yahoo Maps Sat. View of the meeting location. Be sure to check for updates, we at OCNA have "missed" a few people having these events within an event over the years. Actually, myself and Rayman had not discussed in person that he was underwhelmed with MWGB, as we parted ways there, and haven't talked in detail since. Well, I think there's still a very good chance OCNA will get a vendor table next year, although we (myself and DudleyGrunt) may find a Mega that is more convenient to us both. We shall see. Oh, and yes, there was a logbook, I just didn't bother. Rayman is the only one who will log here, so archiving the event. Well, lets just say that no one I don't already know, and isn't from the Buffalo, N.Y. area, attended this event. The coordinates were good, and the meeting spot perfect too, which hasn't always been the case at some of our "Mega meet-ups" listed on OCNA. But alas, we sat there until about 12:15, and no one took me up on my offer. It has been suggested by an Ohio cacher and user of this website that we get a tent and give away/sell stuff and hide exclusive OC caches in the area of MWGB next year. That may or may not happen, but we will indeed be getting a tent at at least one Mega event next year. Who knows, maybe we'll like it, and the stars will align, and we'll do a few. 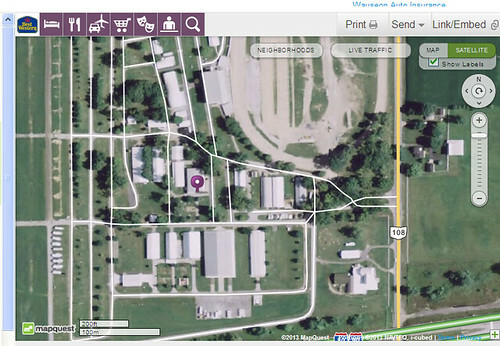 Oh, at the very least I do have a virtual I'm going to submit in Napoleon, Ohio, about 15 miles south of MWGB's permanent home in Wauseon. Well this was a rousing success of an event! Of course I'm being facetious. It goes along with the other "main" event which I was sort of underwhelmed by. Maybe if I was there longer I would have enjoyed it more. With that said, I likely won't go to next year's MWGB. As for this event, what more can I say? People were there, we chatted, and we moved on. It was like a flash mob event, except there were no raffles, food or even a logbook. Thanks pal!